This fun and adorable 2pc set by Bonnie Jean is a must have for you littler girl's summer wardrobe! 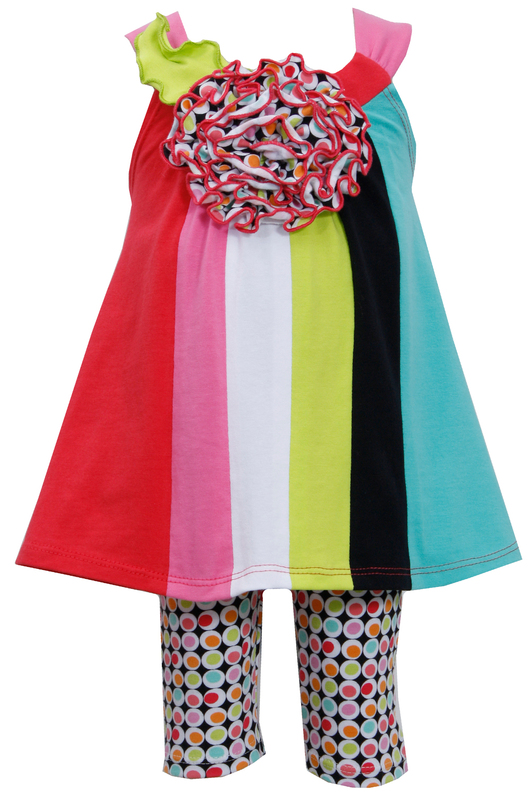 This wide stripe tunic features 3D ruffle flower. Completed with fun polka dot capri.